As you can imagine, I have a number of thoughts about this spat. First, don’t give the Obama Administration too much credit for being on the right side of the issue. 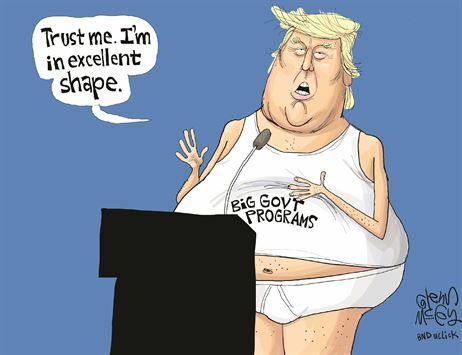 The Treasury Department is motivated in large part by a concern that higher taxes imposed by European governments would mean less ability to collect tax by the U.S. government. Second, complaints by the US about a “supra-national tax authority” are extremely hypocritical since the Obama White House has signed the Protocol to the Multilateral Convention on Mutual Administrative Assistance in Tax Matters, which effectively would create a nascent World Tax Organization (the pact is thankfully being blocked by Senator Rand Paul). Fourth, Europeans are in the wrong because the various national governments should simply adjust their “transfer pricing” rules if they think multinational companies are playing games to under-state profits in high-tax nations and over-state profits in low-tax nations. Fifth, the Europeans are in the wrong because low corporate tax rates are the best way to curtail unproductive forms of tax avoidance. Sixth, some European nations are in the wrong if they don’t allow domestic companies to enjoy the low tax rates imposed on multinational firms. Since we’re on the topic of corporate tax rates and the European Commission, let’s shift from Brussels to Geneva and see an example of good tax policy in action. Here are some excerpts from a Bloomberg report about how a Swiss canton is responding in the right way to an attack by the EC. When the European Union pressured Switzerland to scrap tax breaks for foreign companies, Geneva had most to lose. Now, the canton that’s home to almost 1,000 multinationals is set to use tax to burnish its appeal. Geneva will on Aug. 30 propose cutting its corporate tax rate to 13.49 percent from 24.2 percent…the new regime will improve the Swiss city’s competitive position, according to Credit Suisse Group AG. “I could see Geneva going up very high in the ranks,” said Thierry Boitelle, a lawyer at Bonnard Lawson in the city. …A rate of about 13 percent would see Geneva jump 13 places to become the third-most attractive of Switzerland’s 26 cantons. Geneva is basically doing the same thing Ireland did many years ago when it also was attacked by Brussels for having a very low tax rate on multinational firms while taxing domestic firms at a higher rate. The Irish responded to the assault by implementing a very low rate for all businesses, regardless of whether they were local firms or global firms. And the Irish economy benefited immensely. Now it’s happening again, which must be very irritating for the bureaucrats in Brussels since the attack on Geneva (just like the attack on Ireland) was designed to force tax rates higher rather than lower. As a consequence, in one fell swoop, Geneva will now be one of the most competitive cantons in Switzerland. Here’s another reason I’m smiling. The Geneva reform will put even more pressure on the tax-loving French. France, which borders the canton to the south, east and west, has a tax rate of 33.33 percent… Within Europe, Geneva’s rate would only exceed a number of smaller economies such as Ireland’s 12.5 percent and Montenegro, which has the region’s lowest rate of 9 percent. 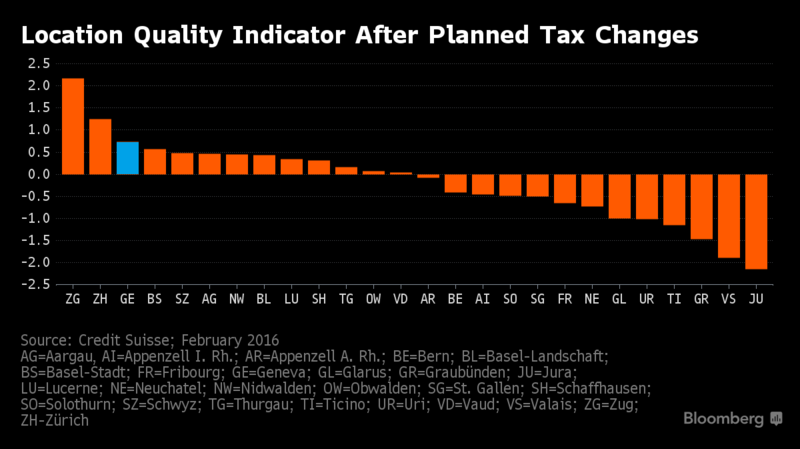 That will mean Geneva competes with Ireland, the Netherlands and the U.K. as a low-tax jurisdiction. Though the lower tax rate in Geneva is not a sure thing. We’ll have to see if local politicians follow through on this announcement. And there also may be a challenge from left-wing voters, something made possible by Switzerland’s model of direct democracy. Opposition to the new rate from left-leaning political parties will probably trigger a referendum as it would only require 500 signatures. Though I suspect the “sensible Swiss” of Geneva will vote the right way, at least if the results from an adjoining canton are any indication. In a March plebiscite in the neighboring canton of Vaud, 87.1 percent of voters backed cutting the corporate tax rate to 13.79 percent from 21.65 percent. 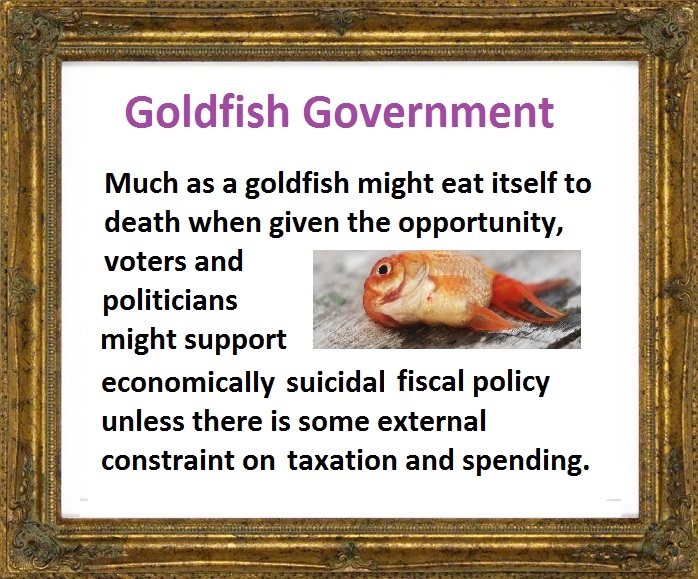 So I fully expect voters in Geneva will make a similarly wise choice, especially since they are smart enough to realize that high tax rates won’t collect much money if the geese with the golden eggs fly away. In other words, the Laffer Curve exists. Now let’s understand why the development in Geneva is a good thing (and why the EC effort to impose higher taxes on US-based multinational is a bad thing). Simply stated, high corporate tax burdens are bad for workers and the overall economy. In a recent column for the Wall Street Journal, Kevin Hassett and Aparna Mathur of the American Enterprise Institute consider the benefits of a less punitive corporate tax system. They start with the theoretical case. If the next president has a plan to increase wages that is based on well-documented and widely accepted empirical evidence, he should have little trouble finding bipartisan support. …Fortunately, such a plan exists. …both parties should unite and demand a cut in corporate tax rates. The economic theory behind this proposition is uncontroversial. More productive workers earn higher wages. Workers become more productive when they acquire better skills or have better tools. Lower corporate rates create the right incentives for firms to give workers better tools. Then they unload a wealth of empirical evidence. What proof is there that lower corporate rates equal higher wages? Quite a lot. In 2006 we co-wrote the first empirical study on the direct link between corporate taxes and manufacturing wages. …Our empirical analysis, which used data we gathered on international tax rates and manufacturing wages in 72 countries over 22 years, confirmed that the corporate tax is for the most part paid by workers. …There has since been a profusion of research that confirms that workers suffer when corporate tax rates are higher. In a 2007 paper Federal Reserve economist Alison Felix used data from the Luxembourg Income Study, which tracks individual incomes across 30 countries, to show that a 10% increase in corporate tax rates reduces wages by about 7%. In a 2009 paper Ms. Felix found similar patterns across the U.S., where states with higher corporate tax rates have significantly lower wages. …Harvard University economists Mihir Desai, Fritz Foley and Michigan’s James R. Hines have studied data from American multinational firms, finding that their foreign affiliates tend to pay significantly higher wages in countries with lower corporate tax rates. A study by Nadja Dwenger, Pia Rattenhuber and Viktor Steiner found similar patterns across German regions… Canadian economists Kenneth McKenzie and Ergete Ferede. They found that wages in Canadian provinces drop by more than a dollar when corporate tax revenue is increased by a dollar. …higher wages are relatively easy to stimulate for a nation. One need only cut corporate tax rates. Left and right leaning countries have done this over the past two decades, including Japan, Canada and Germany. Yet in the U.S. we continue to undermine wage growth with the highest corporate tax rate in the developed world. The Tax Foundation echoes this analysis, noting that even the Paris-based OECD has acknowledged that corporate taxes are especially destructive on a per-dollar-raised basis. Sadly, there’s often a gap between the analysis of the professional economists at the OECD and the work of the left-leaning policy-making divisions of that international bureaucracy. The OECD has been a long-time advocate of schemes to curtail tax competition and in recent years even has concocted a “base erosion and profit shifting” initiative designed to boost the tax burden on businesses. In a study for the Institute for Research in Economic and Fiscal Issues (also based, coincidentally, in Paris), Pierre Bessard and Fabio Cappelletti analyze the harmful impact of corporate taxation and the unhelpful role of the OECD. …the latest years have been marked by an abundance of proposals to reform national tax codes to patch these alleged “loopholes”. 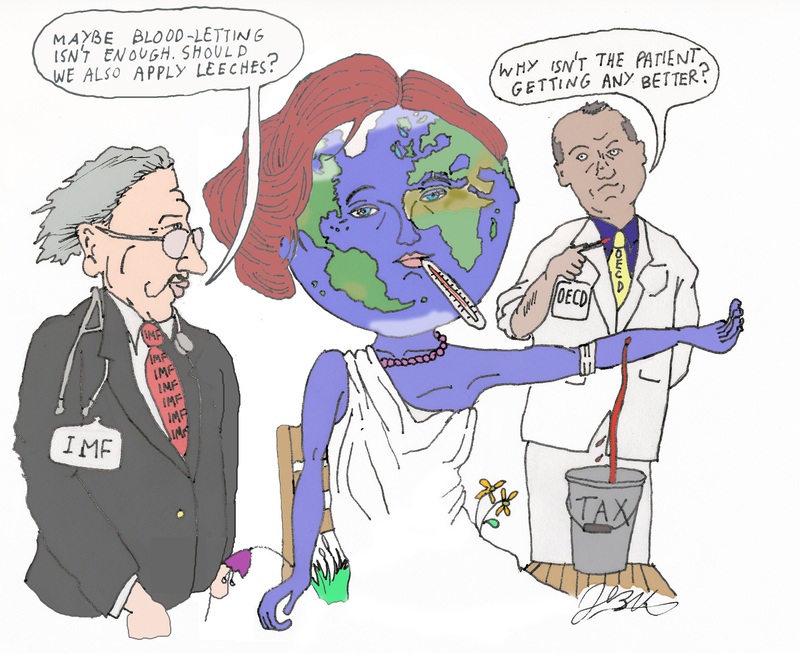 Among them, the Base Erosion and Profit Shifting package (BEPS) of the Organization for Economic Cooperation and Development (OECD) is the most alarming one because of its global ambition. …The OECD thereby assumes, without any substantiation, that the corporate income tax is both just and an efficient way for governments to collect revenue. Pierre and Fabio point out that the OECD’s campaign to impose heavier taxes on business is actually just a back-door way of imposing a higher burden on individuals. …the whole value created by corporations is sooner or later transferred to various individuals, may it be as dividends (for owners and shareholders), interest payments (for lenders), wages (for employees) and payments for the provided goods and services (for suppliers). Second, corporations as such do not pay taxes. …at the end of the day the burden of any tax levied on them has to be carried by an individual. This doesn’t necessarily mean there shouldn’t be a corporate tax (in nations that decide to tax income). After all, it is administratively simpler to tax a company than to track down potentially thousands – or even hundreds of thousands – of shareholders. 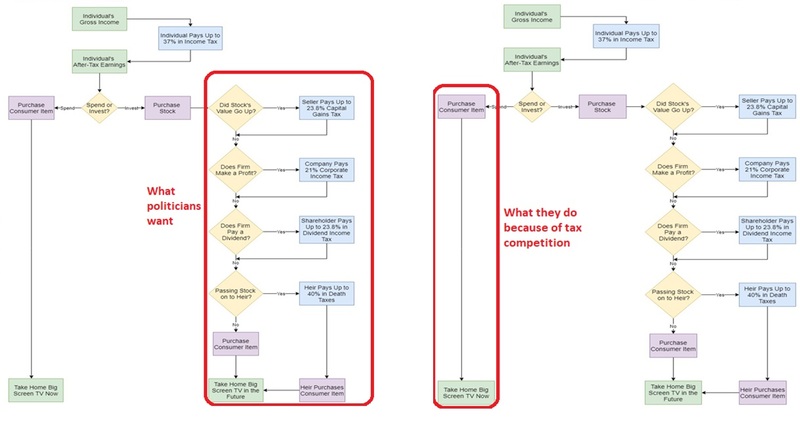 But it’s rather important to consider the structure of the corporate tax system. 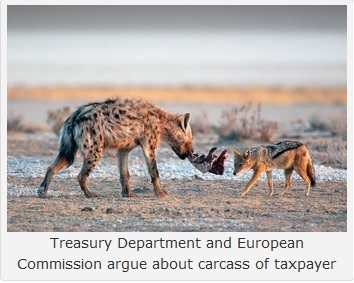 Is it a simple system that taxes economic activity only one time based on cash flow? Or does it have various warts, such as double taxation and deprecation, that effectively result in much higher tax rates on productive behavior? Most nations unfortunately go with the latter approach (with place such as Estonia and Hong Kong being admirable exceptions). 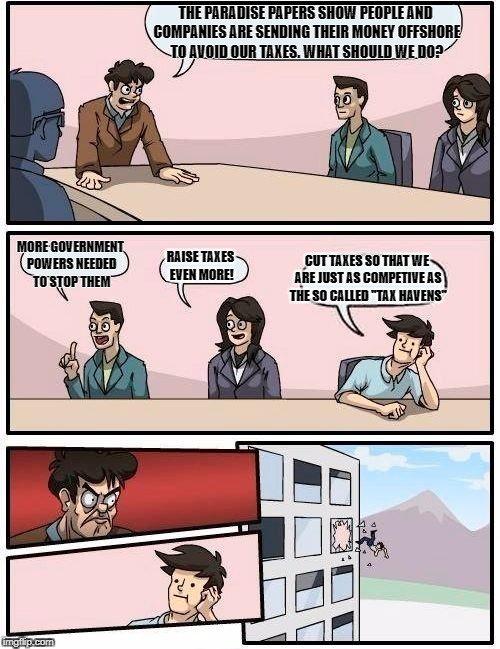 And that’s why, as Pierre and Fabio explain, the corporate income tax is especially harmful. …the general consensus is that the cost per dollar of raising revenue through the corporate income tax is much higher than the cost per dollar of raising revenue through the personal income tax… This is due to the corporate income tax generating additional distortions. … Calls by the OECD and other bodies to standardize corporate tax rules and increase tax revenue in high-tax countries in effect would equate to calls for higher prices for consumers, lower wages for workers and lower returns for pension funds. Corporate taxes also depress available capital for investment and therefore productivity and wage growth, holding back purchasing power. In addition, the deadweight losses arising from corporate income taxation are particularly high. 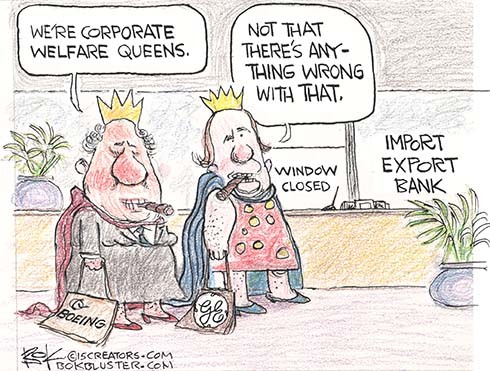 They include lobbying for preferential rates and treatments, diverting attention and resources from production and wealth creation, and distorting decisions in corporate financing and the choice of organizational form. From my perspective, the key takeaway is that income taxes are always bad for prosperity, but the real question is whether they somewhat harmful or very harmful. So let’s close with some very depressing news about how America’s system ranks in that regard. 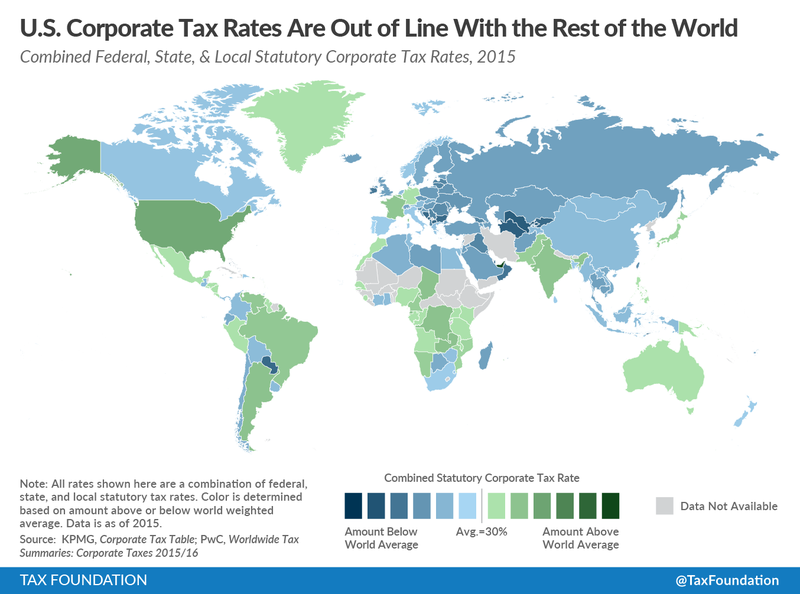 The Tax Foundation has just produced a very helpful map showing corporate tax rates around the world. All you need to know about the American system is that dark green is very bad (i.e., a corporate tax rate that is way above the average) and dark blue is very good. And to make matters worse, the high tax rate is just part of the problem. A German think tank produced a study that looked at other major features of business taxation and concluded that the United States ranked #94 out of 100 nations. It would be bad to have a high rate with a Hong Kong-designed corporate tax structure. But we have something far worse, a high rate with what could be considered a French-designed corporate tax structure. Okay, I’ll admit the title of this post is an exaggeration. There are lots of things you should know – most bad, though some good – about international bureaucracies.